Publicity – Chesapeake Chapter U.S.L.H.S. Contact: publicity@cheslights.org Become a volunteer, follow this link. 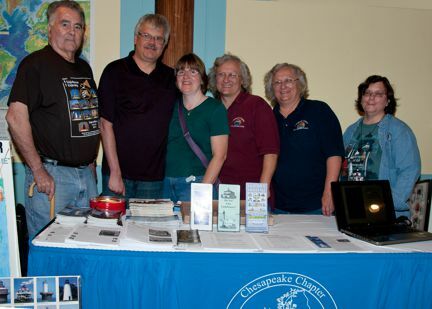 during this fun-filled weekend, contact our Volunteer Coordinators, Paula and Lauren Liebrecht, either filling out a volunteer form here, by email at publications@cheslights.org. As in past years, volunteers who work one or two full days will receive a complete set of 2019 Challenge souvenirs and a 2019 Maryland Lighthouse Challenge t-shirt! The best part of volunteering is the fun you will have meeting folks from around our beautiful country who share your “love of the lights!” We look forward to hearing from you. The Chapter Board Publicity Coordinator Chair is now VACANT! Hope to see you at a lighthouse event soon. Please apply for Publicity Director, at publicity@cheslights.org.